For the projects listed here we are not always the “authors”, but they are all projects we participated at with different roles. 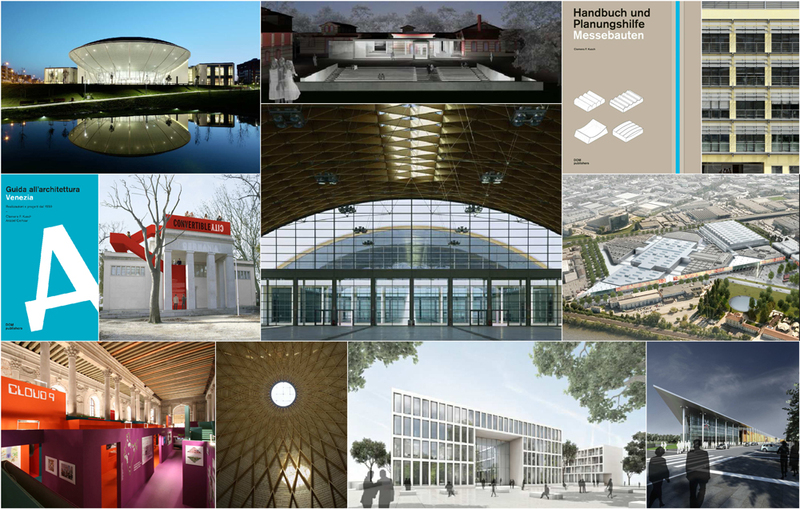 Architecture is increasingly a collective work, which success is based on the cooperation of a qualified team. In some cases we are the authors of the projects, but in many cases we did not act as the protagonist but rather as the “director” and tried to organize the work to satisfy all involved parts, especially the client who invested his resources and trusted our team. Our activity takes care of every detail of the project, from first sketches to the project definition and organization of the construction site, both for big scale projects such as exhibition centres, hospitals or airports and for small projects such as shops and exhibition architecture, often in cooperation with international architecture offices or institutions.The number of actors involved in in the different stages of a project has become increasingly higher: the traditional cooperation between an architect and an engineer for structure and one for building equipment has changed into the cooperation with many qualified technicians in different fields. The huge amount of engineer standards and regulations that have to be respected has increased constantly and became more and more complex. For that reason the work of the “director” has become always more important for the successful completion of a project and the observance of the three basic parameter of any architectural work: time, costs and quality! Our experience and passion are focused on the achievement of these goals!